45149 passes Southam on 28 July 2013 with the 2L54 10:10 Cheltenham Racecourse to Laverton service, during the Gloucestershire Warwickshire Railway's Diesel Gala. Unfortunately, like so many occasions over the weekend, the train corresponded with one of the lengthy cloudy spells. 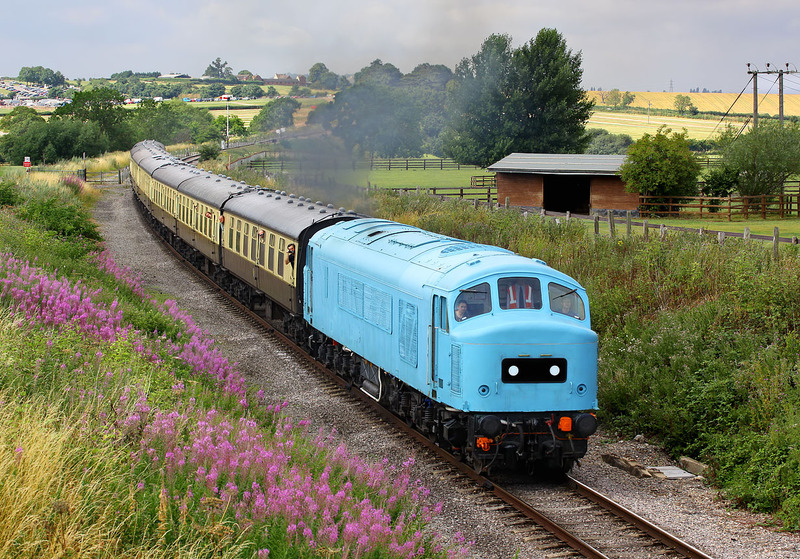 At least the loco's light blue undercoat helps brighten up the picture!